Ever had one of those days where you get up an then out of the blue you have a full day. 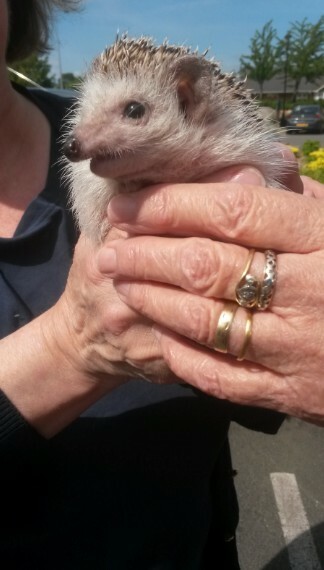 My friend mentioned on my Camping Forum she had to come to Herne Bay to deliver a hedgehog –yes a hedgehog. The rescue was founded by Colin Bradbury in 2009 in light of his foresight that it would soon become a very real need due to the increased popularity of our spiney friends. However, the rescue truly belongs to the hedgehog community as a whole and relies on the generosity of its supporters to keep functioning. We believe that its important for our existence to continue to ensure that our actions do not adversely effect the already stressed rescue centers out there, especially the native hog rescues who are already under a lot of pressure and in most cases not familiar with exotic hedgehog care. We strive to ensure that we always have the best interests of the animals we love so much at the centre of our thoughts. 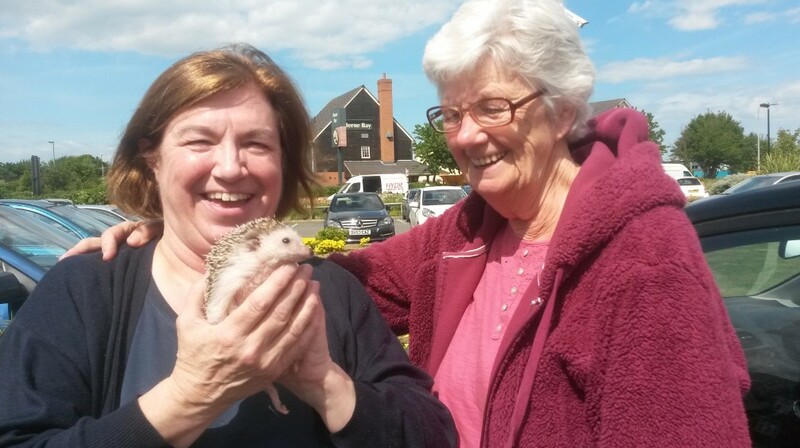 If we can manage the unfortunate hogs that are in need of help within the community then we shall go a long way to helping the breed and the future of exotic pet hedgehogs in the UK. So we messaged and arrange to meet in the Harvester. This we did and I met the sweetest little Hedgehog mind you it was like stroking a scrubbing brush. Viv rescue the poor thing and she was in a very bad way. She fostered her and bought her back to good health and found her a forever home her in Herne Bay. Viv already has one of her own and has had so many pass through her home as she nurses them back to health. She writes a diary for them and she wrote this. Hello everybody, it’s me again, Bracken, with some exciting news. Tomorrow I’m going to my new home by the seaside. A lot has happened since I spoke to you last; I should have told you before now. Four weeks ago my new mum, Collette, and her son Tyler came to visit me. They stayed overnight so Collette could give me my medicine and see how good I am at taking it. Well, I am now because I have only one lot to take, but I have to admit I was a bit naughty that time and ended up wearing some of it. Not for the first time though, it’s one of my little tricks. I quite like the one I have to take now, Loxicom (it’s like Metacam) so I’ll be a good girl. I was a bit naughty before I had my medicine as well because I did a big wee while I was sitting on Collette’s knee. At least that’s what she told everyone as she rushed off to change her jeans. We animals get the blame for everything. My foster mum and my new mum agreed with the rescue that I could move to my new home when my vet was happy with me. He told my foster mum to stop giving me Tramadol then if I was still ok to try stopping the Loxicom . Stopping the Tramadol was alright, I felt fine, ate all my food and played my favourite game of walking round my playpen with a toilet roll tube stuck on my head (or wobbling in my case), but when she stopped the Loxicom I didn’t feel so good. I didn’t eat much and I didn’t want to play. So now we know what I need for the moment. The vet has recommended a vet who he knows near my new home and he’s going to tell him all about me. I’m going to visit the new one soon so he can meet me and see how good I look now that I have spines and I’m not scabby. My bendy legs are because I have something called spondylitis. That won’t get better but my meds stop it from hurting me. You can see how good I’m looking in the photo although Mum said she’s sorry the photo’s a bit fuzzy. She took lots but I’m so excited I just can’t stay still. I know you’ve seen the other photo before, the one of me when I came into the rescue. I couldn’t open my eyes properly and I was very frightened and sad. It was easy taking photos then because I hardly moved at all. I’m very excited about going to my new home but I’m a bit sad at leaving here. My foster mum will come and visit me and my new mum can come back here to visit and maybe she’ll bring me with her so I can see my friends Kat, Lexi and Hartley (if Hartley hasn’t escaped by then). I’m going to come back for my holidays in August. Viv popped him in a carrier with a heat pad underneath as they must live at 22C as if they get cold the might hibernate and they are not made for that so they die. I have learnt so much today about these sweet creatures. So there we were sitting in the Harvester with this little cage and the baby asleep. Collette, and her son Tyler joined us with their carry bag and they already have a little hedgehog so they have two now and we had a chat until we had to go as Collette had to go and fee some horses. so we bid farewell and went shopping and that was the day gone. Well it was different. I have seen something new today. When i got home I had the sad news of the passing of a Mesowarrior. His Wife Pat messaged me. 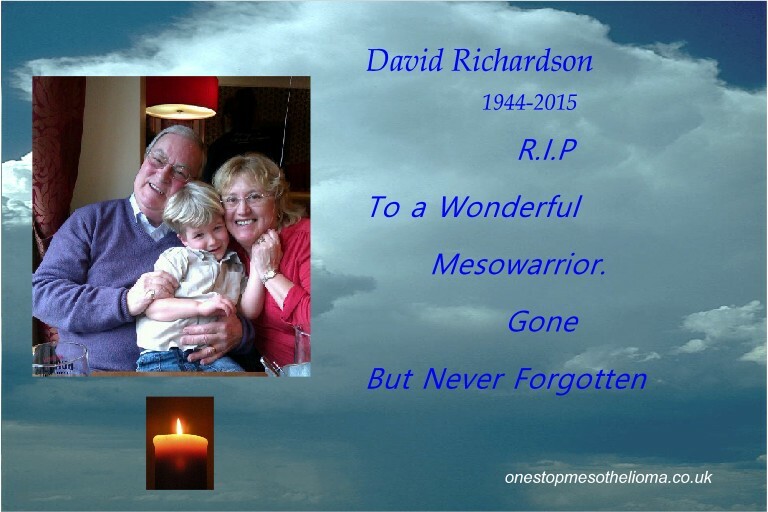 “My husband David died of Mesothelioma this week aged 71. He was ill for 18 months! Another life taken too soon! Im really so sad as Pat has always been there encouraging me even though her husband was so ill.
Well what has happened to our weather. We have had so much rain today after a lovely sunny start the black clouds rolled over and dropped all the rain the held. It was running down the windows like a river. Crazy. We still went to the car to take the dog out to the park, well I keep my sweets in the glove box and I love popping one in my mouth. Seems there was a lot of mutual business done and ideas shared so these will unravel in the future. This is the Dr. J. Stumphius Recognition Award of the European Asbestos Forum, presented by Hans van der Wart of Shield Group International to Prof. Nico van Zandwijk (ADRI), who could be a Nobel Prize candidate for discovering a potential cure to mesothelioma. Showing many people lifting a burden together, the award perfectly represents the EAF motto: Sharing makes us stronger. On finding more info I was surprised that Australia has a purpose built Asbestos Diseases Research Institute in Sydney. Professor van Zandwijk’s major research interest is in thoracic oncology. He founded the department of Thoracic Oncology at the Netherlands Cancer Institute and was head of department from 1985 to 2008. His department was the first to study mediastinal staging, locoregional chemotherapy and photodynamic therapy in malignant mesothelioma. In 2007, Professor van Zandwijk was asked to become the inaugural director of the purpose built Asbestos Diseases Research Institute in Sydney. Over the years he has been involved in many clinical trials, translational research and mentoring more than 20 students who have become research leaders in the own right. So many wonderful people out there working away at finding the answers. Following the General Election and the state opening of Parliament the Medical Innovation Bill is to be reintroduced into Parliament. A ballot was held on the evening of the state opening to determine the order of introduction of private members’ bills in the following days and weeks. The Medical Innovation Bill is 28th in the queue and is due to be introduced into the House of Lords on June 8th 2015. There is no guarantee that the Bill will get very far. There is a lot of competition for Parliamentary time and the majority of Private Member’s Bills do not progress to become Acts of Parliament. Many thanks for all your support and interest in the Bill to date. We’ll keep you updated on the Bill’s progress. This will start the pessimists nattering again and rising on twitter but I would rather be a pessimist and say Well done and lets get in for the fight. I had another email to cancel the Date at the House of Commons June 23 with the British Lung Foundation but they have moved it to July 16th, I have to move my drug day to the Wednesday, so a busy week but it will be worth it . The BLF will still be launching the most comprehensive overview of lung disease in the UK currently available, and the research being published will mark the 30th anniversary of the BLF. This will include lung disease rates and data specific to your area. The launch will now take place at 4-6pm, Tuesday 14 July, in Terrace Dining Room A, House of Commons. We would be delighted if you could still attend. The event will be hosted by Dr Sarah Wollaston MP, and attended by parliamentarians, clinicians, researchers and officials. This new research will be a milestone in our understanding of the nation’s lung health. Formal invitations will be sent out shortly. This year is the 30th anniversary of the BLF. We will renew our determination to make a difference to people living with a lung condition and campaign for positive change in the nation’s lung health. Our focus will remain on COPD, lung cancer, mesothelioma and IPF. We will campaign to increase people’s awareness that feeling out of breath is something they need to take seriously and get checked out. Stopping people getting lung disease remains a priority. We will push to ensure that laws on standardised tobacco packaging and the ban on smoking in cars carrying children are introduced, and that more is done to tackle smoking rates throughout the UK. We will also continue to press for sustainable funding dedicated to mesothelioma research. It is unacceptable that the UK has the highest rate of mesothelioma in the world and there is so little research, even though there is no cure. Our IPF project will build on a successful first year. We will increase the number of BLF support groups, improve the reach of our health information, and campaign to raise awareness. Children’s lung health will be a new priority for the British Lung Foundation. We’ll start by consulting parents and health care professionals, and then plan how to raise awareness, provide information, and support families. Over the past three decades, we’ve spent more than £24 million on scientific research into a wide range of lung conditions. In the next 12 months, we’ll start to put our new research strategy into action and aim to invest more in research in the future. We’ll also conclude a major study to evaluate the nation’s lung health. 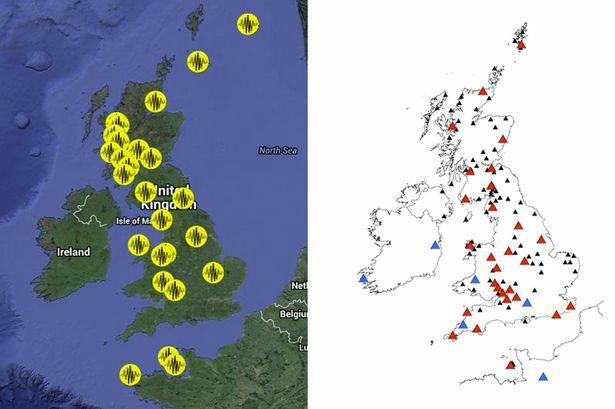 This will draw together, for the first time, comprehensive information about respiratory disease across the UK. We will share findings and use them to campaign for improvements. We’re welcoming new trustees to our board to better represent people living with a lung condition and the wider health care community. Their experiences and point of view will have a big impact on our work and help us to carry out our ambitious plans in the years ahead. We will strive to improve our support for everyone affected by a lung condition and to raise funds to support this important work. But we need you to get involved. We could not do all that we do without you. Penny Woods is our chief executive and is passionate about working on behalf of patients, from personal and family experience. In a report of a proof-of-principle study of patients with colon and other cancers for whom standard therapies failed, researchers at the Johns Hopkins Kimmel Cancer Center say that mistakes in so-called mismatch repair genes, first identified by Johns Hopkins and other scientists two decades ago, may accurately predict who will respond to certain immunotherapy drugs known as PD-1 inhibitors. Such drugs aim to disarm systems developed by cancer cells to evade detection and destruction by immune system cells. Results of the trial with pembrolizumab, marketed as Keytruda, will be presented at the American Society of Clinical Oncology 2015 Annual Meeting and published online May 30 in the New England Journal of Medicine. “This study gives us a solid clue about how immunotherapy may work in cancer and how to guide immunotherapy treatment decisions based on the genetic signatures of a cancer rather than class of cells or organ of origin,” says Luis Diaz Jr., M.D., an oncologist at the Johns Hopkins Kimmel Cancer Center, a member of the Ludwig Center at Johns Hopkins and the director of the Swim Across America Laboratory at Johns Hopkins. For the Johns Hopkins-led study, scientists enrolled and treated 48 patients with cancer, primarily at The Johns Hopkins Hospital, and divided them into three groups. Other patients enrolled were from Providence Cancer Center in Oregon, the University of Pittsburgh Cancer Institute, Stanford University and The Ohio State University Comprehensive Cancer Center. In one group of 13 patients with advanced colon and rectal cancers and mismatch repair gene defects, eight had partial responses to pembrolizumab, meaning their cancers shrunk by at least 30 percent in diameter. Four patients had prolonged disease stability, and one patient experienced disease progression. In another group of patients with colon and rectal cancer who had no defects in mismatch repair genes, all 25 failed to respond. In a third group of 10 patients with a variety of other cancers that tested positive for mismatch repair gene defects (four with pancreatic/bile duct cancers, two with uterine cancers, two with small bowel cancers, one with stomach cancer and one with prostate cancer), one patient with uterine cancer had a complete response, meaning there was no radiographic evidence of their cancer, five had partial responses, one had stable disease and three patients’ cancers progressed. All patients had received and were no longer responding to previous therapies. Median overall and disease progression-free survival in the colon cancer group with mismatch repair-defect group have not been reached yet, since several patients in this group have continued to respond to the immunotherapy drug for more than 12 months. Median follow-up for this group is 36 weeks (ranging from five to 55 weeks). In the group of patients with colon cancer who lack the mismatch repair errors, median overall survival was 7.6 months, and median disease progression was 2.3 months. These patients were followed for up to 42 weeks. In the third group of patients with mistakes in mismatch repair genes, median overall survival has not been reached, and their median disease progression-free survival was 5.4 months after being followed for up to 42 weeks. For the study, overall response rates and some disease progression-free survival rates were classified and assessed as “immune-related,” because patients often experience some tumor growth before shrinkage begins in those who respond. Typically, such initial tumor growth, also known as pseudo-progression, would prompt researchers to remove patients from a clinical trial, but scientists have recognized the temporary growth trend in immunotherapy trials and created new definitions of response to account for it, say the Johns Hopkins scientists. The research team also accounted for differences in how long each patient had metastatic disease and his or her length of response to previous therapies. Tests for mistakes in mismatch repair genes are commercially available and used routinely for newly diagnosed colon and endometrial cancer patients, according to Le. Pembrolizumab, sold by Merck, is approved by the Food and Drug Administration for certain patients with melanoma. The drug blocks a protein on immune cells called PD-1 and takes the brakes off of these immune cells so they can attack cancer cells. Its cost can reach more than $100,000 per year per patient, a cost that gives urgency to sorting out which patients stand to benefit and which do not. Mistakes in mismatch repair genes, which occur in sporadic and hereditary forms of colorectal, endometrial, stomach, biliary tract, pancreas, ovarian and small intestine cancer, disable cells’ ability to repair errors in the DNA replication process, which triggers unchecked cellular growth, a hallmark of cancer. The mutations were first identified in 1993 by co-authors of the current study, including Bert Vogelstein, M.D., of the Ludwig Center at Johns Hopkins and an investigator for the Howard Hughes Medical Institute; Nickolas Papadopoulos, Ph.D., and Kenneth Kinzler, Ph.D., also of Johns Hopkins’ Ludwig Center; and Albert de la Chapelle at Ohio State University. Two decades later, an idea for the current study took root when Diaz and his Ludwig Center colleagues met with other Johns Hopkins scientists who led one of the first large clinical trials of a type of immunotherapy similar to the one used in the current study. In it, a single patient with colon cancer in the trial responded to the drug when other patients with colon cancer did not. The search began, Diaz says, for why that one patient responded. Diaz and his colleagues previously proposed that immunotherapy may work best in patients with more mutations in their cancer cells, because multiple mutations trigger production of more abnormal proteins in cancer cells and, in turn, may cause the immune system to mount a bigger response against cancer cells with more “foreign” proteins. Knowing that a small percentage of patients with colon cancer have errors in mismatch repair genes, which produce thousands more mutations in tumors than patients without the defects, they guessed that the lone colon cancer responder in the earlier study had such error-prone mismatch repair genes, a guess that was subsequently verified when the team sequenced the genome of the patient’s tumor. It was great to see how many people from around the world collected together to share their knowledge with each other. You so much about each others countries and the Legislation they have in place to manage Asbestos. The European Asbestos Forum aimed to improve professional networks and to exchange of knowledge regarding all matters related to asbestos. From Patients stories to the newest medical treatments and drugs. It was focused on labour: remediation, best practices, limit values, raising awareness in the workplace, national and European policy, enforcement of regulations, comparing regulations, asbestos drama’s and major law suits etc. Linda Reinstein gave a speech that bought in the way that families suffer through Mesothelioma. Here she talked about my trial and today I had a lovely message from a Dutch friend I have met before at the IATP Diner. Bless him it was so nice to know this as I always think Im so in the background to all these experts. You two know who you are and I thank you so much. 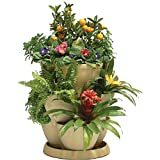 It gives me a boost as I just work away here in my office and just put out all that interests me and Im so glad you are finding it of interest. Ok I will carry on and lets work together to the rid future of Asbestos and the lack of knowledge and uniform the Legislation’s throughout the world so we are all working from the same rules. Another one has been published which is dear to my heart it talks about DIY. It is an area that we can can control. We must be so careful as we pull walls down and do our own renovations and decorate. If you find Asbestos Stop and think of Take Five to stay alive. 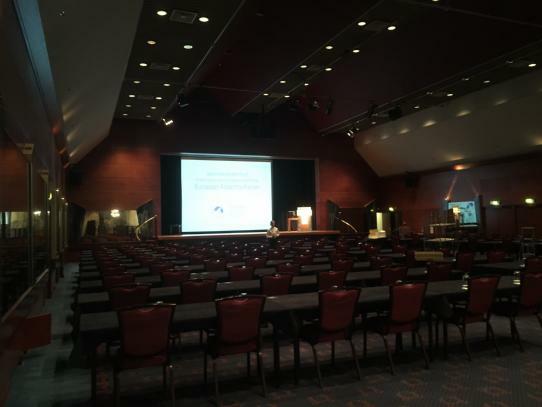 The hall where the first EAF Conference is taking place today. The European Asbestos Forum aims to improve professional networks and the exchange of knowledge regarding all matters related to asbestos. For 2015, the main theme will be focused on labour: remediation, best practices, limit values, raising awareness in the workplace, national and European policy, enforcement of regulations, comparing regulations, asbestos drama’s and major law suits etc. The newest medical and some shocking new epidemiological insights will be shared as well. Convivial closing drinks and an optional conference dinner will round off the day in style. This how the run conferences nowadays, different speakers in different rooms –I always feel I miss out as I love to hear all the speakers and feel they should run it over many days so that everyone gets to hear all the news from around the world. So the scene is set and I will be waiting for all the reports and photos and I wish EAF all the luck for a successful conference. Asbestos Hunter reports though from his Hotel —Would you believe what I ran into right outside my hotel? Portions are under renovation and the waste is being hauled on an open trailer through crowded streets. Asbestos everywhere.This is today In Amsterdam ??? I said I would have walked past that and just thought it was bags of cement as I wouldn’t have thought that someone could do such a thing in this day and age but of coarse they do. Here is a blatant case of Asbestos being abused as it is daily. Cutting corners and right in the middle of of a busy City. Then people wonder where they came in contact with Asbestos. Well over the years you have been contaminated where ever you are. Everyone must have it in their lungs. How will they ever be able to solve the Mesothelioma peak I fear the answer is there will never be a top of the peak to get the figures down. I hope asbestos Hunter talks about this today it needs to be talked about and named and shamed. Please keep safe keep your eyes open for Asbestos -report fly tipping !!!! I couldn’t let that go and told the person off and said i would swap his lungs for mine any day. You make one joke about politics, everything is ok. Make a single #mesothelioma joke, and everybody loses their minds!!! ——- It would have been better if he had put an apology what a uncaring person. I havent sat down to write a blog over the bank holiday but I think thats where we normally have always gone away. The idea of facing the blocked roads just put us off this time and I had a great idea of staying in the garden for a change. Hmmm it was so cold and cloudy and even rained. Our summer has not got going yet. So I stayed in and worked on the computer. I did manage a good clean in the house but sat down now and again. A bit each day soon tidies up in a Park Home. So Louis walks round the park was all I did. I seem to be living for the next Tuesday at The Marsden and my drug is all I live for. Im noticing some side effects as I reach a year in June. I have been scratching so take antihistamine and that has been good. Tiredness. After I eat a meal I drop off so that’s 2 sleeps in a day and all night. So much is going on in my Lung with all the shrinking it must wear me out. As I havent anyone else to compare it all with I feel alone in this trial. Linda Rheinstein has been very interested in the trial and she contact me as she flies to Amsterdam to the EAF Conference. It would seem she is really going to mention me and my trial so as the results have been published I was able to share info with her. I have kept a low key up to now but its really time to shout it from the roof tops. I know its not for everyone it doesn’t work its magic on all but Im proving there is something right about Imunotherapy. I have met Yvonne on several occasions and know how dedicated she is to the Asbestos world. 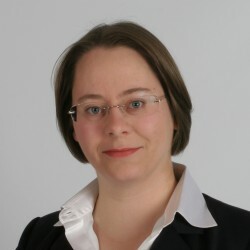 Linda: Please tell me about the European Asbestos Forum 2015 (EAF). Yvonne: I’m so excited to announce the first European Asbestos Forum (EAF) on May 27 at the NH Grand Hotel Krasnapolsky in Amsterdam. Right on Dam Square, the very heart of the Netherlands. It’s main topic for 2015 will be on the relationship between asbestos and labour, with different big topics already planned for upcoming years. The EAF is a new type of international asbestos conference There will be information for all asbestos stakeholders – e.g. trainers, victims, lawmakers, asbestos removers and the legal community. While the main focus will be on Europe, there is to be much international interaction and speakers from other continents as well, with some twenty global top speakers and specialists, which include Dr. Richard Lemen, Eric Jonckheere, Tony Rich, and Linda Reinstein. Linda: Why is the EAF called a Forum? Like ADAO, Yvonne places great emphasis on the need for sharing and unity – and it all starts by simply first getting to know each other and networking, she says. The hottest news on asbestos developments will entice participants further to join the Forum. Linda: What drives you to go to such great lengths? Linda: What should participants expect? Linda: What is the goal of your conference? Linda: Yet asbestos is already banned in Europe by virtue of a Directive of the European Union in 2005, that all Member States have had to implement. So wouldn’t such a conference or forum be better held elsewhere than in the EU? Linda: Who really is the European Asbestos Forum? Yvonne, ADAO is pleased to support your efforts and wish you great success at the European Asbestos Forum on May 27th! So its with great excitement I wait for tomorrows events. Well We had a surprise when we began to read the papers and see the news that we had a Earthquake early yesterday morning. The dog had woke us up very early barking and running around but we calmed him down and I said to Ray dont worry must be a fox in the garden. Later yesterday the news broke that we had an earthquake down south. Pictures came on face book. It was big- East Kent has been struck by the biggest earthquake to affect the UK since 2007. The quake measured 4.2 on the richter scale shaking homes and waking people just before 3am this morning. The epicentre was 5 miles offshore south of Ramsgate and was felt as far away as Cromer in Norfolk. Britain could be headed for an earthquake strong enough to topple buildings as new “super deep” fault lines have been discovered under the Home Counties. The fractures in the earth’s surface are linked to the San Andreas Fault which causes monster quakes in California. The latest research shows that the much deeper and more intricate system of linked faults which could bring similar devastation to Britain. According to reports, the regions most at risk are Kent and the Home Counties, Essex, and Scotland. Oh dear its the first time I have heard about faults here in the UK. So after all the jokes about “Did the earth move for you” life returned to a normal day. Im still itching so the drug is really going along the same journey, as a forum Im in reports. After about a year the itching starts and I feel sick in this first week. Constipation is still a complication as well. Ray keep s putting glasses of water in front of me as he promised the Doctor he would see I keep flushing my kidney. We haven’t gone away for the bank holiday as the traffic will be so bad and Summer just hasn’t really got started this year. What with Rays back and my treatment we are out of the habit of packing the Motor Home each week. So we are going to have a weekend in the garden. Ray has been clearing out his storage box and now wants to clear out the shed. We had a skip that was so easy to throw our rubbish out but now the days of recycle have interfered with that and we can only put our garden waste in it. So we have to go to the tip in Canterbury where we have to sort all the rubbish and put in the right containers. I do wonder about all this as we used to have landfill and they reclaimed land and turned them into recreational areas. We still have places this could be carried out. 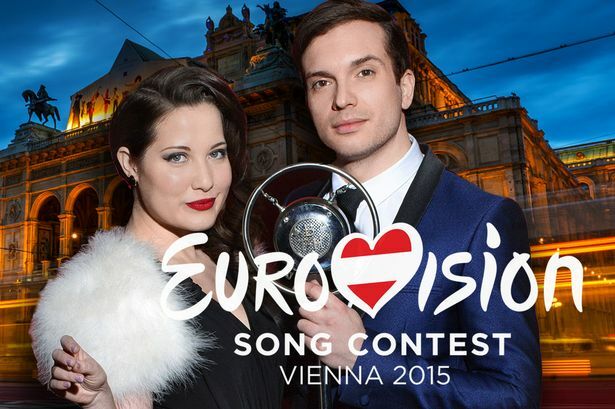 So we will be watching (much to Rays Annoyance ) The European Song Contest. Like Marmite -You either love it or hate it .I love it although last year through me when the winner was a bearded lady. 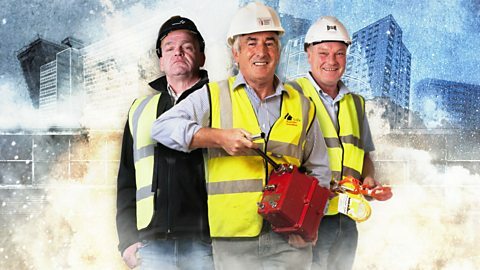 A must watch on Sunday as I have linked up with the firm involved in the program and last week was about the demolition of Didcot Towers. A land mark we traveled past many times as we went to Oxford. So Im not going to be bored for the Bank Holiday. But I do know I have to get out in the fresh air so I hope the sun comes out so we can do some garden living this weekend. Summer is nearly here as the sun shines. The power has been connected so the workmen are nearly finished. The hole’s still have to be filled in but at least the power is stable again. Ray had to have his eyes tested with the pressure tester. A routine part of every routine eye exam that measures the fluid pressure inside the eye. The test is called tonometry. Increased pressure within the eye can be a sign of glaucoma, a common and potentially very serious eye problem, if it is not detected and treated promptly. The pressure inside the eye is measured from the outside. The pressure can be measured without anything touching the eye. The patient looks up close at an instrument that blows a small puff of air into the eye and then uses a special kind of sensor (like a tiny radar detector) to detect the amount of indentation that the air puff causes on the surface of the eye. This indentation is normal and only lasts for a fraction of a second but the downside is the drops make your eyes so sensitive to daylight and poor Ray the sun was shining so he came out squinting away until he got his sun glasses on. Still he wont have it again for another year. The Doctor said that it all looked good. Ray has already had laser treatment to put holes in to relieve any pressure so its good that the op has worked. These picture capture just how Asbestos just wasn’t treated right from the start as a health risk by the men that worked with it. They make me feel physical sick when I look at them. 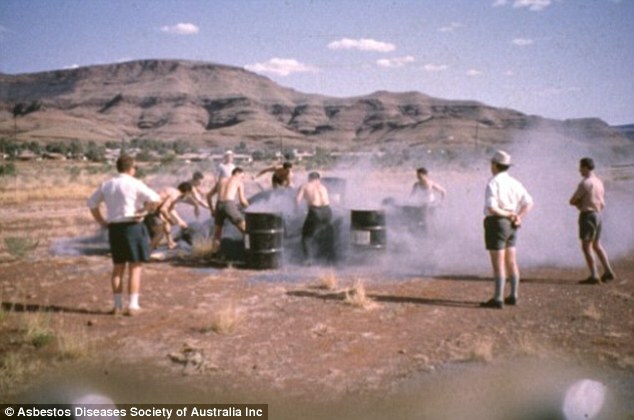 The snapshot was captured in 1962 in Wittenoom, located 1400kms northeast of Perth in Western Australia. The town was the prime source of blue asbestos in Australia before it was shut down due to rapidly escalating health concerns. Robert Vojakovic, the president of the Asbestos Disease Society and a finalist for the 2011 Australian of the Year award, told Daily Mail Australia the competition was a coal mining tradition. Blue asbestos, which is be 100 times more hazardous than white asbestos, was used on the roads, pavements, and school playgrounds of the small rural town before mining stopped. 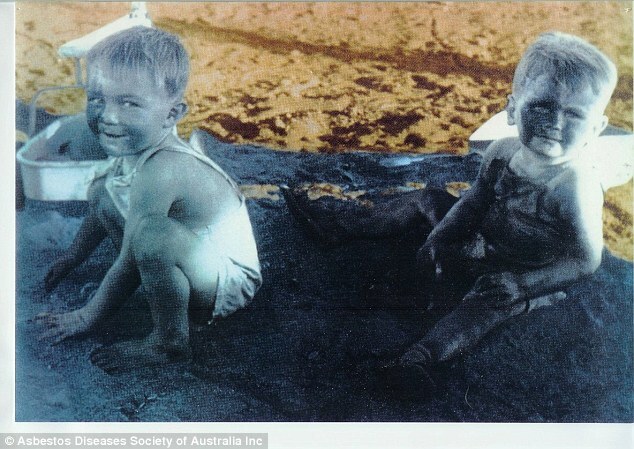 Other disturbing images show young children playing in pits of the deadly mineral, completely smothered in the blue powder. Janelle’s family have publish these photos and it really highlights that Mesothelioma can hit any age. It is far from being just an “Old mans Disease” as so often reported. In ADAO Interveiw Janelle said –How has asbestos changed your life? I was a 31-year-old wife with a 4-year-old son when I was diagnosed with Pleural Mesothelioma. It started with trouble breathing, pain around my left rib and a constant cough. It was a matter of weeks and I went from being healthy to fighting for my life. I was told I would not survive Mesothelioma, that there was no cure. I decided to have an EPP and I was so thankful it was a success! Since surgery, it has been a long road to recovery. I have come a long way, but I know I will never be the same again. I had a hard time getting off the pain medications and I suffered with severe depression. Some days, I could deal with the new me and other days, it was harder. I just try to continue to improve my life every day. In 2011, I was faced with the reality that the cancer had metastasized into my abdominal cavity. I had debulking surgery with HIPEC. The surgery went well. However, I then learned I was dealing with Restricted Lung disease in my only lung. I now use a BiPAP AVAPS to sleep at night. There has been a lot of hard days, but the ones in between are really great! So many Warriors have been lost and we that wre left have to keep fighting and raising Awareness, that is why I was so pleased that in the Soap awards last night Donna received the award for best Goodbye scene. I didnt agree with the way they had to have her fall of a roof when they had been so great in having her die with mesothelioma. It was a waste of a better story line and the sensationalized the death. Emmerdale fans have been rocked after Donna Windsor revealed she has a terminal illness. Donna, who is played by Verity Rushworth, revealed she had been diagnosed with mesothelioma, a rare form of cancer. Her condition was exposed in the episode after she was taken to hospital by her stepfather Bob Hope (Tony Audenshaw), when she admitted she felt woozy after hitting her head. But left alone with a doctor, she said that there was nothing that the hospital could do for her and discussed her illness. Emmerdale bosses said they chose not to release details of Donna’s illness before the episode, as they wanted the storyline to play out on screen.